Foxwell GT80 Plus is next generation automotive tool provides professional diagnostic tool for world-wide vehicles both OBDI and OBDII cars, SUVs, minivans, light-duty trucks around 2015/2016, Including AU Ford and Holden. Foxwell GT80 Plus includes a modern Windows 8.1 tablet computer, with 10 inch LED touch screen. 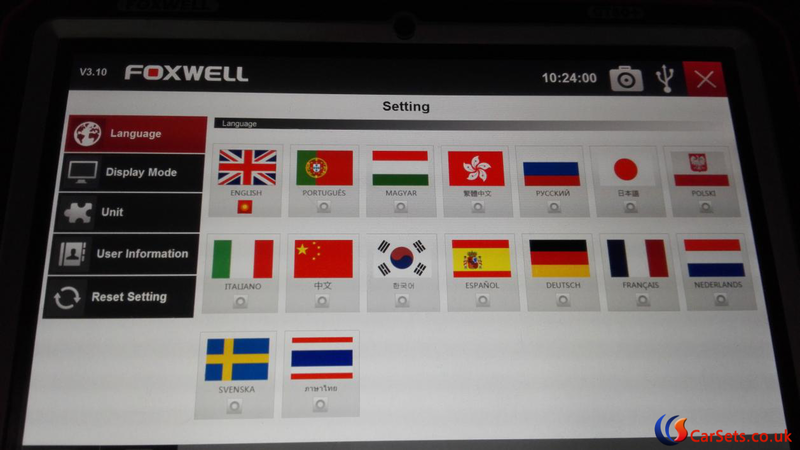 Why chooose Foxwell GT80 Plus ? How to ues Foxwell GT80 Plus to diagnose vehicles ? First, The vehicle identification information presented is provided by the ECM of the vehicle being tested. Therefore, certain attributes of the test vehicle must be entered into the scan tool to ensure the data displays correctly. The vehicle identification sequence is menu driven, you simply follow the screen prompts and make a series of choices. Foxwell GT80 Automatic VIN Aquisition Automatic VIN Acquisition allows to identify a vehicle by automatically requesting the vehicle identification number (VIN). 2.A screen with vehicle manufacturers displays. Select the area where the vehicle manufacturer is from. A menu of all vehicle manufacturers from this area displays. Or tap the Search Vehicle box to input the vehcle brand to search. 3.Select the manufacturer of the test vehicle from the list, and the following screen displays. 5.After the scan tool builds connection to the vehicle, the VIN number displays. If the Vehicle Specification or VIN code is correct, press the OK to continue. If it is incorrect, you are required to enter the correct VIN number manually. Manual VIN Entry identifies a vehicle by manually inputing a 17-digit VIN code. 1.Refer to Step 1-3 of 4.1.1 Automatic VIN Acquisition. 2.Press Keyboard button to input a valid VIN code and press OK to continue. The scan tool starts to identify the vehicle. Manual Vehicle Selection identifies a vehicle by making several selections according to certain VIN characters, such as model year, and engine type. 2.On each screen that appears, select the correct option and then press the OK button. Do this until the complete vehicle information is entered and the menu of controller selection displays. How to use Pin Code Reader for Chrysler ?